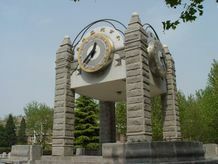 Beijing Jiaotong University (BJTU), located at Xizhimenwai of Beijing, is a national key university of China, directly under the administration of the Ministry of Education. Her predecessor is Beijing Railway Management Training Institute and Beijing School of Posts and Telecommunications, set up by Ministry of Posts and Telecommunications of Qing Dynasty.In 1921, the school merged with two industrial technical schools in Shanghai and Tangshanto form the National Jiaotong University, with three branch universities in Beijing, Shanghai and Tangshan respectively. BJTU was then called as Beijing Campus of National Jiaotong University. After the founding of the People’s Republic of China in October 1st 1949, BJTU was re-named as Northern Jiaotong University (NJTU) by the State Council. Chairman Mao Zedong appointed Academician Mao Yisheng, a nationally renowned expert in bridge engineering, as the first president of NJTU. In 1951, Chairman Mao Zedong autographed the name of the university. 1981, BJTU became one of the first key universities authorized by the central government to confer master's and doctoral degrees, and subsequently to confer titles of associate professors, professors and Ph.D. advisors. In July 1994, BJTU was selected as one of the first universities in the National 211 Project. 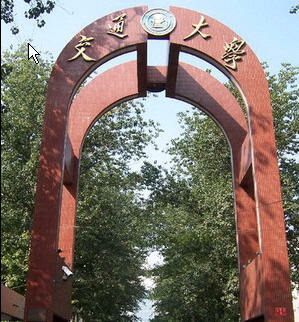 In April 2000, Beijing Electrical Power College was merged into NJTU. Then the university was transferred from the Ministry of Railways to the Ministry of Education. In September 2003, the university restored the name Beijing Jiaotong University.